Manteo in English: EXTRA WORK TO GET POSITIVE POINTS FOR THE 1ST TERM! EXTRA WORK TO GET POSITIVE POINTS FOR THE 1ST TERM! How are you doing? Are you enjoying your weekend? I hope so! As you know, autumn arrived some weeks ago, but, the fact is that the weather has remained summer-like till Thursday. - Let me know what you think about autumn: Do you like it? Why? Why no? Which is your favourite season? - Write 5 or 6 lines at most and send them to me as a comment on the blog! - Write your name, surname and class on the comment so that I can know who you are! ALL STUDENTS WHO DO THIS EXTRA WORK WILL GET A POSITIVE POINT, NO MATTER YOUR ARE THE FIRST OR LAST TO SEND, OK? YOU´VE GOT TILL WEDNESDAY TO SEND ME YOUR WRITINGS! P.D: As you can see you don´t have any riddle this time but you will in another occasion! I don't like autumm because is cold, is raining and is cloudy. I prefer summer bacause is always sunny, we can go to the beach, to the swimming pool, we didn't go to the school and we are in hollidays. Well done Amaia!!! you are the first to get a positive!!! congratulations!!! 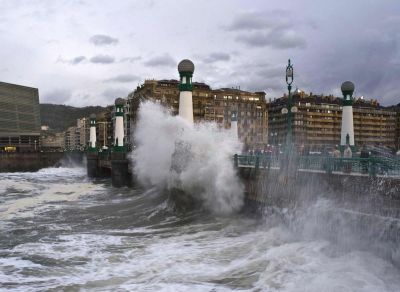 And, if you don´t like autumm you´re a lucky one because this week the sun is coming back to Donosti! Very good Minerva!!! another positive for you!!! You are right, even though it is a rainny season, autumm brings great colours to nature,which is fantastic! -I like autumn because I start the baskettball league, also my father is at home because in summer he is working in the sea. 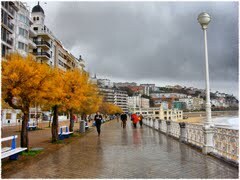 -I don´t like autumn because we aren´t in hollidays,it is often raining and the weather is cold so we can´t go to the beach. Great job Ramon!!! so... I guess your father is a sailor, isn´t he? you have to tell us about him! And, how is the basketball league going? are you a good player? I don't like autumm because is cold, is raining and is cloudy.I prefer summer because is very sunny and hot. My favourite seson is summer because we didn't go to the school and we are on hollidays. I like autumm because is a very beautiful season and because there is a lot of windy so the tree leaves fall. But I prefer summer because in summer is hot and we can go to the beach. I like spring because tehere are flowers, we have got hip hop´s festival and because in spring I think that school is going to end soon. Great job Lidia! Another positive for you! So: I don't like autumn because is very sad and boring season. The holidays finish, the school starts; you can't stay with your friends bacause you have to study for the exams... I prefer so much summer: the sun, the holidays, the beach... is better than autumn! I don't like autumn because is cold and in sometimes is raining and the water of the sea is very cold. But I have a winter neoprene and for my is very hot but it is nice. And I hate autumn because we go to school. I don´t like autumn because it is very sad and solitary. Always is cloudy and I get bored very much when I stay with my friends in autumn, because there is nothing to do. I like summer because I can go to the beach with my friends and I can practice others activities: surf, bodyboard, play tennis... The days are long and it's sunny. August is my favourite month because the 13th is my birthday. Very good Lorena and Luis! Lorena, you are right about funerals in movies, and I have realized it just now, after reading your comment! ;) and don't worry about autumn, I'm sure you and your friends will find many things to do in the rainy days that are coming! Luis, I can see from your commet that you are a very sporty boy, that's great! My mum's birthday is in August too! Enjoy your day off! See u on Monday! I like autumm because it is interesting and that makes it less cold in winter. And I hate that it rains a lot. 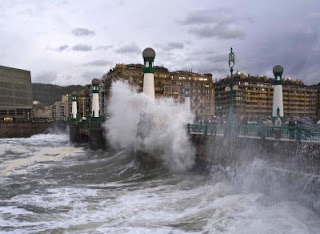 I dont like autumm because it is very cold and raining.I prefer the summer because it's hot and you can go to the beach Furthermore, there isn´t school and have more time to meet with friends. 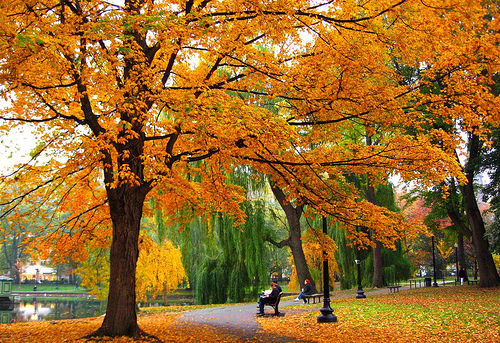 Hello my opinion about autumm is that I don´t like because there are less vacations than in summer. I like de autumn because it seems to me to be very enterteining to play with the fallen leaf of the trees. Even this way, I prefer the summer. For that I´m of holidays and do not have to get up early to go every day to the school. Wowwww!!! a lot of comments!!! that´s great!!! well done students!!! Gerardo, Aitor Cocho, Tamara and both Ainhoas: positive points for you!!! congratulations!!! See u on Monday and enjoy your day off because it will be really sunny!!! I don´t like autumm because is cloudy and cold. I prefer summer because the always is sunny and hot. We didn´t go to the school and we go to the hollidays, we can go to the swimming pool and to the beach. Very good Mishel! A positive for you! And, for the ones who haven't written yet, remember that you still have time to send in your answers till midnight! i like the autumm because it's fun and can do many things such as going to see movies but I hate it rains. I prefer summer because is always sunny and we always go to the beach. I like autumm because I can go to get mushroms with my dad but in some days it`s very boring because the weatherlike is bad and is raining. But now it isn`t a problem because in Larratxo is an new closed skatepark free. I don´t like Autumn because there aren´t any important things to do in this season. I love winter because I go skiing and I do more things with the snow. In winter we have holidays and we have a lot of presents too, winter is fantastic! Very good Iker, Julia, Mikel and Maialen!!! positives points for you all! I also like skiing Maialen! REMENBER TO GET POSITIVE JEJE. I don't like auttum because we can't go to the beach and it is usually raining. I prefer winter because is cold, so we can go skiing. I love skiing! My favoutite season is summer because it's my birthday and we are on holiday. Also, I go to the beach with my friends. I have the beach in front of my house!